Piff the Magic Dragon is a performer like no other, a comedian and magician dressed up in a dragon suit whose sidekick is a Chihuahua. There are a lot of unique performers in Las Vegas, but Piff the Magic Dragon stands out from the pack with his residency show at The Flamingo. 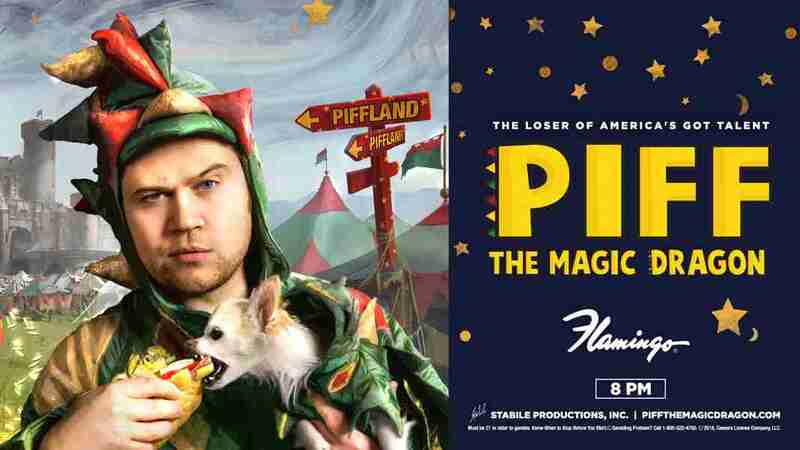 A hilariously grumpy performer whose persona has been compared to Larry David, Piff performs mind-boggling magic tricks while cracking wise the whole time… and he does it all while wearing a dragon suit with a Chihuahua as his sidekick. Mr. Piffles, described as “the world’s first Magic performing Chihuahua” has become famous himself, as the tiny dog has been levitated, put into a strait jacket, shot out of a canon, and more throughout his showbiz career. 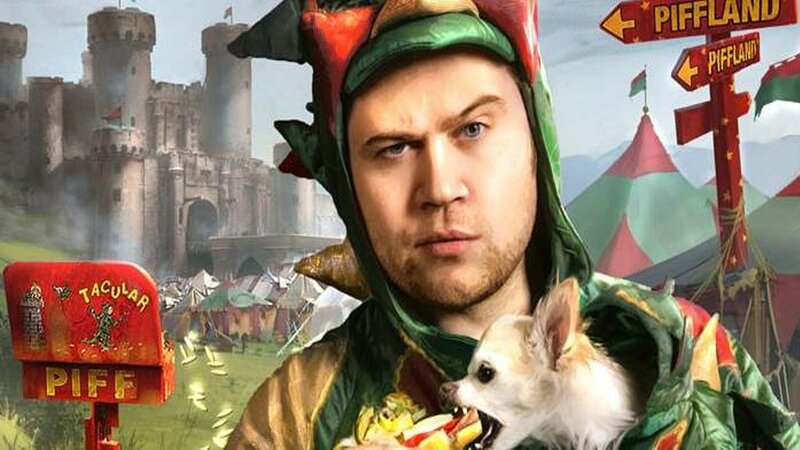 While a man in a dragon suit performing with an adorable Chihuahua sounds like a family-friendly night of entertainment, Piff and Mr. Piffles famously tell audiences “they don’t do children’s parties.” This is a salty show for older audiences and it might not be appropriate for younger audiences, and the show plays like a PG-13 rated movie. Audiences who do check out Piff and Mr. Piffle’s show at Flamingo will be delighted to see them perform their greatest hits that they’ve honed on their appearances on America’s Got Talent, as openers for folk-rockers Mumford and Sons, and onstage at huge venues like Radio City Music Hall, The O2 Arena, Shakespeare’s Globe Theater, and both the London and Sydney Opera Houses. 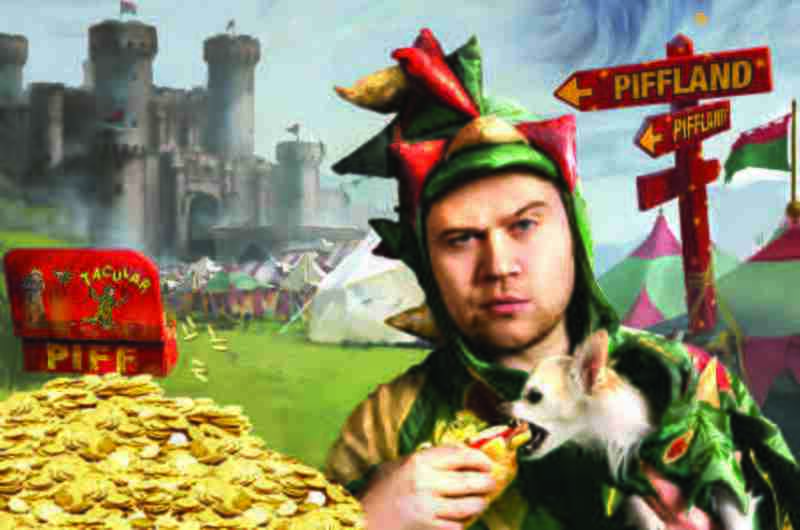 A comedy and magic show featuring a delightfully grumpy star dressed up as a dragon with an adorable Chihuahua sidekick, Piff the Magic Dragon’s residency show at The Flamingo is like nothing else in Las Vegas.